Did the accident occur in U.S. navigable waters? What if the boat was in international waters? 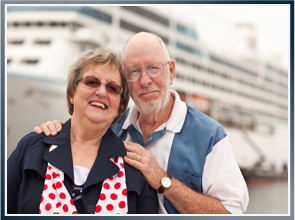 Did you agree to a provision when you purchased a ticket, particularly if you were injured on board a cruise ship? Did negligence play a factor? If you’re feeling a little overwhelmed by these questions, that’s normal. However, it only gets more confusing from here. What type of vessel also plays a factor in how you go about filing a claim. If you are a passenger who is injured on a boat, there is a time limit for which you can file a claim. Typically, under maritime law, the statute of limitations is three years. This means you must file a claim before then. However, the owner of the boat may be able to change the time frame to much less than three years and require you to give notice. Things get even trickier if you sustain injuries on a cruise ship. If you’re filing a claim against a cruise line, generally, you must provide a written notice sometime between three to six months after the accident. However, most cruise lines include provisions in their ticket contracts that require you to file the lawsuit under a certain court, in a certain state and usually within a shorter time frame than what is typically allotted. If you’re a passenger who has been injured onboard a vessel and you intend on pursuing a maritime injury claim, your best bet is to consult with a maritime attorney. One wrong step in the process could mean you miss out on compensation that could cover medical bills, lost wages and emotional trauma. The maritime accident attorneys at Latti & Anderson LLP have more than 50 years of experience with maritime law. We provide free consultations and can help determine what your rights are in the situation. Previous Are Burn Injuries Common on Board Vessels?